Note: The following values can differ slightly from model to model; please consult your user manual for technical specifications. 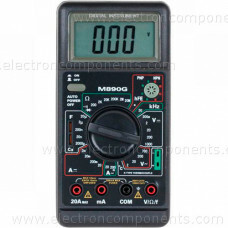 Input impedance: 10MΩ at all ranges. Frequency Response: 40Hz - 200Hz (40Hz-100Hz for the 200V and 700V range). 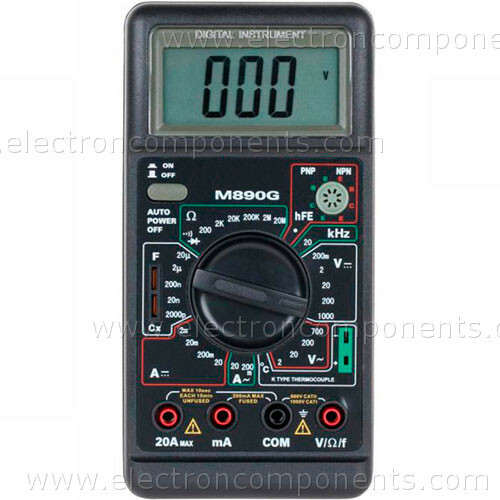 - all other ranges: 750V AC or 1000V DC. The 20A range is unfused. Maximum input current: 20 A for 15 seconds. Note: some models have a 20mA range with a resolution of 10 µA and ±1,2% ± 3 digits accuracy. Diode test forward current: ~ 1mA. The built-in buzzer will sound, if the resistance under test is less than about 30 ohms.